Each plant has between 1 and 4 flowers, normally white but sometimes tinged with pink. The tepals are stained with yellow at the base of the inside, and the outside of the three outer tepals is tinged green or purple. 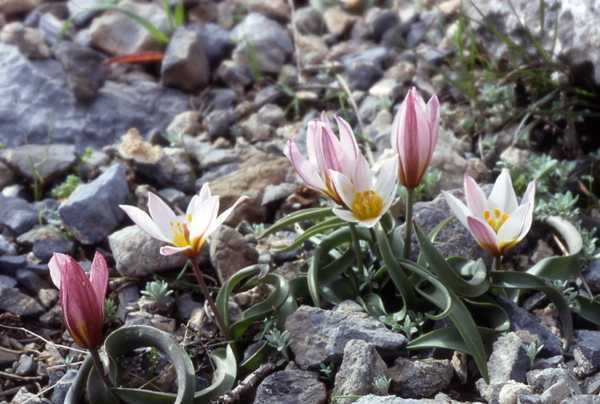 Cretan Tulip can be found in rocky habitats both in the hills and on lower ground. This wildflower is endemic to Crete where it grows in very large colonies.